Universities are increasingly becoming factories, churning out obedient citizens and “human capital.” It's time to fight back. 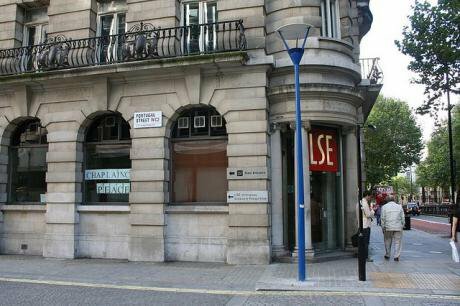 The LSE brand is powerful, and extends beyond the apparent financial success of its graduates (though the average salary figures are skewed by high-paying jobs in the City). It continues to produce impressive, often controversial research. Its Centre for the Analysis of Social Exclusion recently released a report on “the changing structure of inequality in the UK”, illustrating some of the deep inequities in the British labour market, while its history has been shaped by towering radical figures like Ralph Miliband and Harold Laski. But it is precisely this image – “the elite of the elite” – that is currently being unmasked and challenged. There are good reasons to take this challenge seriously. At its core, this is a movement about redefining the principles that drive our education, captured in the rallying cry “University is not a factory!” Readers of openDemocracy will be familiar with the increasing sense, not only in Britain but across the world, that education has become a commodity; degrees “marketed” on their utility in a “competitive job market”; courses “sold” on their ability to equip us for the “knowledge economy”; institutions and academics “ranked” according to their status and prestige. Professor Barr’s view – that a system of tuition fees is necessary and desirable if properly explained – reflects how “progressive” minds in Britain have accepted what the sociologist Ronaldo Munck calls “necessitarianism”: the belief in the inevitability of the market’s triumph in society. This belief is the basis of modern neo-liberalism, and can be seen in the language of Will Hutton in a 2013 article for the Guardian with the title: “Britain’s intellectual powerhouses must not become the preserve of the wealthy.” “Of course graduates should pay fees for their education over 30 years of their subsequent working life”, he wrote. “Of course universities should promote ever wider access. Of course universities should do more to feed business with the lifeblood of scientific and technological knowledge.” University, in other words, is still a factory, designed to “feed business”, but we should aim to put a nicer face on it. The Free University of London takes over the Vera Anstey Suite. Author's image. That’s essentially where the “progressive” perspective lies today, exemplified in the Labour Party’s radical alternative to the Coalition’s £9,000 annual fees: £6,000. Conservative governments may be more aggressively pursuing an American-style education system – like in my native Australia, where the Education Minister last year mulled over collecting student loans from deceased estates – but the bigger concern is the way in which former parties of the left have turned their back on free education. Britain, nevertheless, is an outlier compared to the rest of Europe, where university education is either free or relatively affordable; not to mention Scotland, whose First Minister recently spoke at LSE and asserted “I will defend the principle of access to education being on your ability to learn, not your ability to pay as long as I’m in politics.” We may fear that we’re turning into America; the rest of Europe fears that they’re turning in to us. LSE certainly feels like, as student activists put it, “the epitome of the neoliberal university.” The most embarrassing evidence of this was the 2011 revelations of the school’s willingness to accept gifts from the Gaddafi family, with more recent concerns stemming from its “streamlined” new code on ethical investments. The chairman of the LSE Council and Court of Governors is Peter Sutherland, who is also chairman of Goldman Sachs International and former chairman of BP; and the “Sheikh Zayed Theatre”, in our impressive New Academic Building, is named after the former Emir of Abu Dhabi, a token of appreciation for his family's financial support. Reclaiming the voice of students. Flickr/lusciousblopster. Some rights reserved. Yet – as we well know – LSE is not the only university run like a business, which is why Occupy LSE’s call for divestment from “exploitative and destructive organisations, such as those involved in wars, military occupations, illegal blacklisting of workers and the destruction of the planet” has been so passionately echoed and supported. Underpinning this is a call for the LSE to publicly lobby against the government’s recent Counter-Terrorism Bill, which carries eerie requirements for monitoring “radicalisation” on campuses. Anyone remotely familiar with the recent history of counter-terrorism at universities in the UK should support this demand. Just ask Mohammad Gul, a law student at Queen Mary University, whose five year prison sentence was upheld in 2012 under Section 1 of the Terrorism Act for uploading videos to YouTube of Iraqi and Afghan insurgents fighting American and British military forces; or Hicham Yezza and Rizwaan Sabir, students at the University of Nottingham, who were arrested and held for six days in May 2008 after the university’s registrar informed police that Sabir had downloaded an al-Qaeda training manual, and emailed it to his classmate (for a Security Studies class). Critical thinking and dissent, the most basic values of higher education, are under threat, and in desperate need of protection. Education is not about churning out obedient citizens, ready-made for a career in an economy designed by distant corporate and political interests. In any case, such careers prove elusive for many graduates today. The reality, instead, is “overqualified and underemployed”: casual, low-paid, often unstable work – with a mountain of debt. 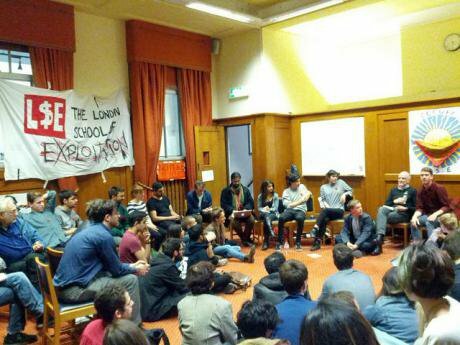 Graduates are, in this sense, becoming part of that “dangerous new class”, the “Precariat”, sharing the experience and the consciousness of the LSE workers on zero-hours contracts, whose employment rights are a central demand of the Occupy LSE movement. We’ve heard such apathy before. But history, as the novelist Philip Roth noted, is about discovering how the unexpected becomes the inevitable. The pessimists should take even a cursory look at the history of political activism at LSE, and then, on some level, they might re-discover it. And this is a movement extending well beyond LSE, to the UAL students occupying the reception area of the Central St Martins College of Art and Design; the graduate students on strike at the University of Toronto; and the inspiring student occupation of the University of Amsterdam. Far from dissipating, this wave of political activity has spread, with students from King's College London and Goldsmiths the latest to begin occupations (see Occupy KCL and Occupy Goldsmiths). Stand with us. 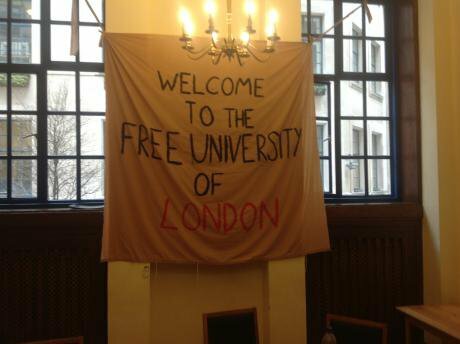 Or, at the very least, listen to us, because the Free University of London is not just a physical space, but an angry and passionate collective voice – one that won't be fading away.